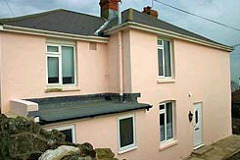 Orchard Mews are three self-catering cottages in Shanklin on the Isle of Wight catering for up to six people. 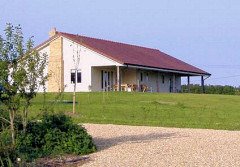 Guests can enjoy the use of an indoor swimming pool, tennis court, gymnasium and games room. Holidays inclusive of ferry fare are available. Kathryn & Jon would like to welcome you to our cosy chalet, nestling in what is widely regarded as the most beautiful part of the Isle of Wight. Niton lies at the Island's southern tip and enjoys some of the UK's sunniest summers - and mildest winters - thanks to its sheltered southerly aspect. The village is a popular stop for walkers, with the famous 60mile (95km) round-Island Coastal Path passing right alongside the chalet. 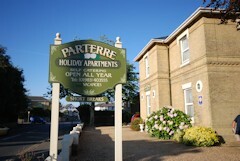 A warm welcome awaits at Parterre Holiday Apartments in the popular sunny seaside resort of Sandown on the Isle of Wight. This elegant detached Victorian property is set within its own grounds giving guests ample parking and just a few minutes’ walk away from the town of Sandown and its amenities. 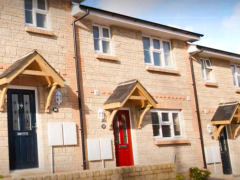 Each apartment is fully self contained offering comfort and cleanliness with all modern touches to ensure you have a most enjoyable and relaxing stay. Located in one of the most sought-after locations in Bembridge, The Chicken Shed at Sea Change is in a designated Area of Natural Beauty. 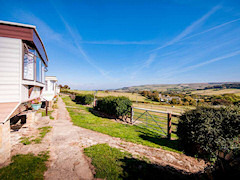 Ideal for those seeking a quiet romantic get-away, a base for an energetic walking or cycling holiday, or simply a peaceful beach holiday, The Chicken Shed has it all. 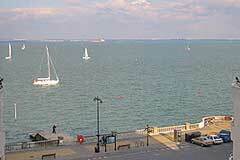 Situated directly on Cowes Esplanade, this first class accommodation has sea views both to the West and East. Recently refurbished, it provides a superb retreat for up to 6 people seeking easy access to all the facilities both within and around Cowes. 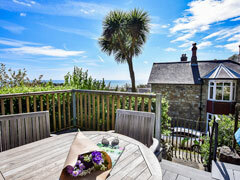 With its sea views it provides an ideal location for those wishing to relax and absorb the ambience of the sea. 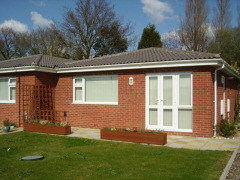 Church Mews is a stylish and modern 3 bedroomed holiday home, providing accommodation for up to six guests. 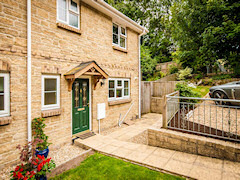 It is in a great location enjoying the peace and tranquillity of the area, just on the edge of the picturesque Shanklin Old Village. Nearby you will find the safe, sandy beach with excellent facilities, including Kayaks, Pedalos, beach shops Cafes and children's entertainment centre, pubs and restaurants. 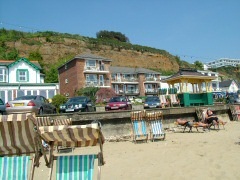 Sunny beach self catering apartments, situated right on Shanklin Esplanade, a stone's throw from the lovely sandy beach. 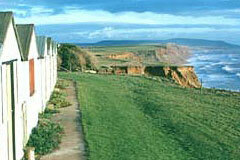 All the apartments have panoramic views over Sandown Bay. 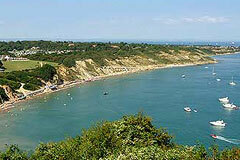 Luxury Self Catering Apartments in Sandown Isle of Wight. 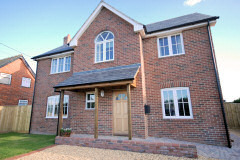 3 new 2 bed apartments and 1 2 bed house. 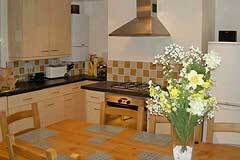 Intergrated Kitchens, Dish Washer, Washing Machine, Cooker, Fridge Freezer, Microwave etc. 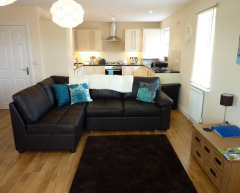 5-10 minutes walk away from Beach, Shops, restaurants, bus stops and train station. 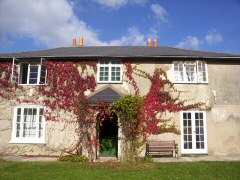 Stunning hidden treasure in the beautiful grounds of Arreton Manor offering unique accommodation for two. 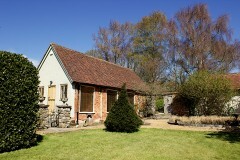 Secluded hideaway, exceptionally well stocked local farm shop and two pubs all within walking distance. The backdrop of the downs for long walks and cycle paths nearby. 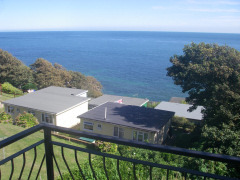 Navarino Villa Apartment is set on the ground floor of a Victorian house, nestling at the base of St Boniface Downs. 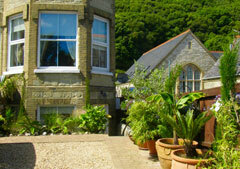 Providing excellent self-catering holiday accommodation for five people, the apartment combines the best of modern living, in balance with the property's traditional Victorian period features and heritage. 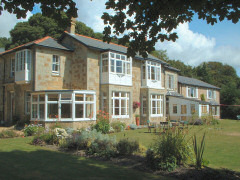 The Cowes House is a fully restored, spacious Victorian house with 5 bedrooms arranged over 4 floors. It's an ideal place for crew who simply want to relax after a hard day's yacht racing. 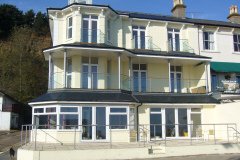 The house is located only 5 minutes walk away from Yacht Haven, the High Street and ferries. There is unrestricted parking outside the house. 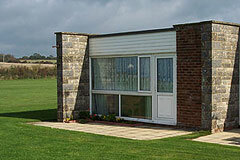 Meadowview is a family run site in the village of Niton on the Isle of Wight. 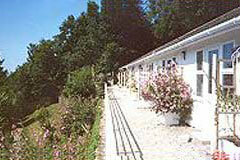 The site has seven caravans, plus a small cottage beautifully converted from the old dairy. 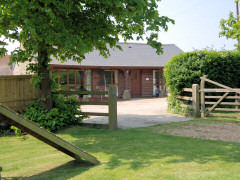 Surrounded by open fields and close to National Trust downland, Meadowview really is the perfect base for your Isle of Wight holiday. 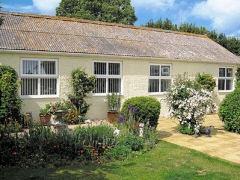 Find your perfect Isle of Wight holiday with holidaycottages.co.uk - we offer a selection of wonderful cottages in great locations across the island. 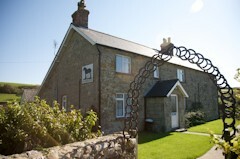 Each of our cottages is hand-picked and personally inspected, so a holiday to remember is always guaranteed. And with our award-winning customer service, finding and booking your perfect holiday has never been easier.